Our Senior Preschool Program welcomes children aged 3 to 4.5 years, with a maximum group size of 16 children. 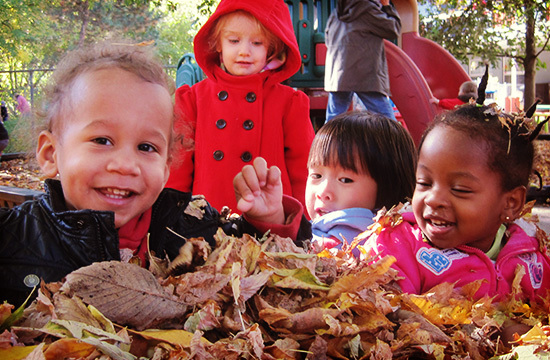 Our program helps build school readiness skills in a fun, play-based environment. The goal of this program is to support and encourage the children as they develop their independence. They will be better equipped to manage in the larger school environment. 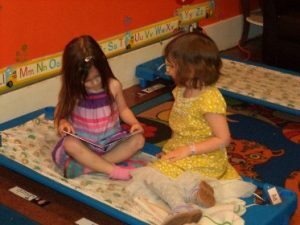 In the Senior Preschool Program we make sure that the children have the opportunity to express their thoughts and ideas, make choices and ask and answer questions as a way to satisfy their curiosity and build problem solving skills. They are also encouraged to recognize and consider the views of their peers and build and solidify friendships to help strengthen their social skills. 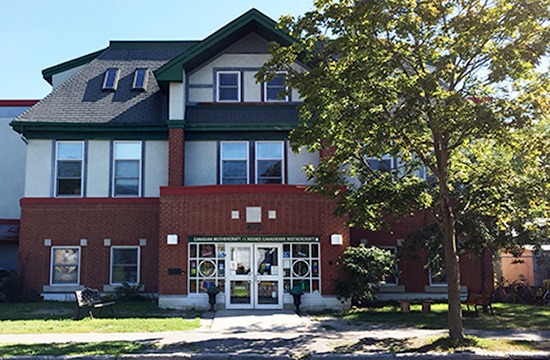 Our dedicated team of Educators encourage and support the children as they explore the world and build on their knowledge and understanding through inquiry-based activities. 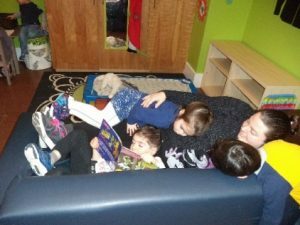 Each day the children will experience many opportunities for learning through story times, large and small group times, gross motor play and free play activities. Each week the Educators present teacher-directed learning centers that build communication skills, printing skills, turn-taking skills and help practice working at a desk. 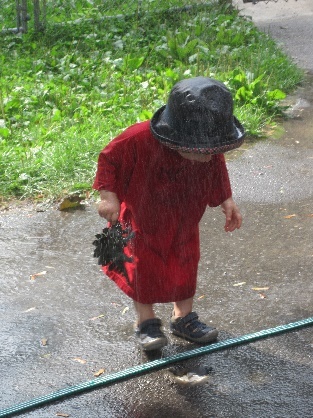 Play is more than just “fun” for preschoolers. It’s how they learn. In our program we strive to create a challenging and enjoyable environment in which your child can grow and learn through play. Through play the children develop social and cognitive skills, they mature emotionally and gain the self-confidence needed to engage in new experiences and environments. 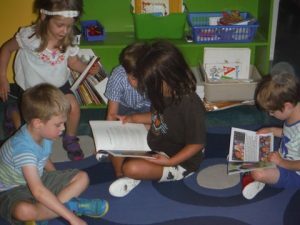 Developing the children’s listening and speaking skills provides the foundation for literacy development in Kindergarten. We provide opportunities and encouragement for them to express their ideas, make choices and to ask and answer questions. The Educators develop small projects from the children’s ideas and interests and present them to the children in what we call Learning Centres. These activities are designed to help build vocabulary; identify the sounds that make up words; recognize letters and some printed words; and associate each letter with the sound that it makes. The children are provided with daily periods of free play, where they choose and plan their own activities both indoors and outdoors. Additional organized and co-operative games help to develop their physical skills while enjoying the company of their friends. We have fun learning to play board games, musical chairs, chicken limbo and dancing to the music! 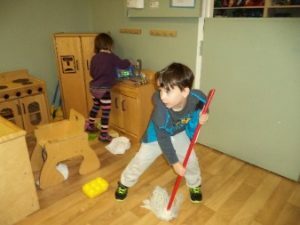 Our team of one part-time and two full-time Educators work together to create a challenging and enjoyable environment in which your child can grow and learn through play. Through play the children develop social and cognitive skills, they mature emotionally and gain the self-confidence needed to engage in new experiences and environments. In our program we begin to introduce the children to some more structured activities to ensure that they are ready for their next step of moving to our Mothercraft Kinder Program or moving on to new adventures in the school system. We introduce the children to the concept of the “school year”. From September to June our goal is to construct a curriculum which fosters cognitive growth based on the children’s own interests and ideas. July and August are full of fun outdoor summer activities as we enjoy a “summer holiday” atmosphere. A nutritional lunch is served buffet style. The children build their independence by serving themselves and practicing portion control under our watchful eyes. They practice turn taking and also help define their own likes and dislikes. The children are encouraged to taste everything but are not required to eat it. Lunch time is very social and we have some awesome conversations about what happened in the morning and what the children are doing at home, etc. The seniors are a busy, active group and need a rest time to refresh and recharge. The need for rest and sleep varies greatly at different ages and even among children of the same age; however, rest is an important part of the day for all children. The children are divided into their two groups (Jellybeans & Lolly Pops) and enjoy a relaxing time of music, stories and quiet activities on their cots. After a short rest time, the children who are awake will participate in the Wakers’ Program where they can engage in fun, quiet activities. If the children fall asleep they will enjoy their sleep until they wake on their own or until 2:30pm at the latest. A white board is posted outside the classroom to help us share with parents the activities of the day, special events and important notices. 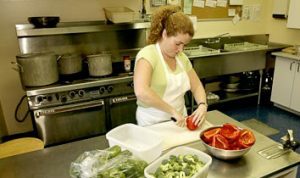 Our snack and lunch menu for the week is posted here as well as a daily chart indicating how well your child has eaten and how long they slept. We also encourage you to share any adventures your child may have had over the weekend, anything you notice that they may enjoy sharing with their friends at day care, any new developments or special talents that you would like to share with our program. This helps us to provide responsive programming that is meaningful to the children. Monday: learning activities guided by the children’s interests. Wednesday: Learning Centers (designed to promote specific skills such as listening and following directions). 2:30 Table top activities ie puzzles, blocks, toy play, etc. We ask that parents please provide the following items to ensure that your child is well prepared and comfortable each day.